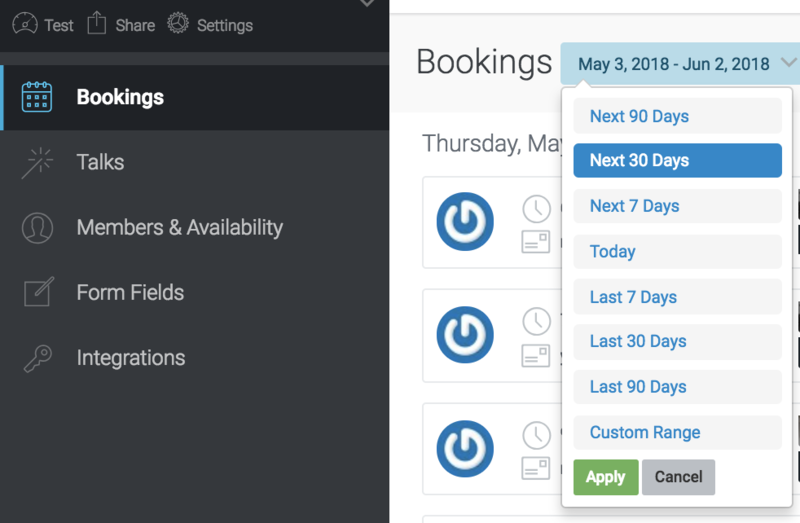 Whether you're viewing past or future bookings, Appointlet makes it easy to limit the time frame that displays on your Bookings Page. Simply click the dropdown menu next to the Booking title and make a selection. Click the green "Apply" button to make the change. You can also specify a custom range of dates. Simply type in the start and end dates to define the period of time you want to show. Please note that the format is year-month-date.